This morning, I am pleased to have the opportunity to work with PQP Part 1 Candidates in the OPC PQP course at HWDSB. 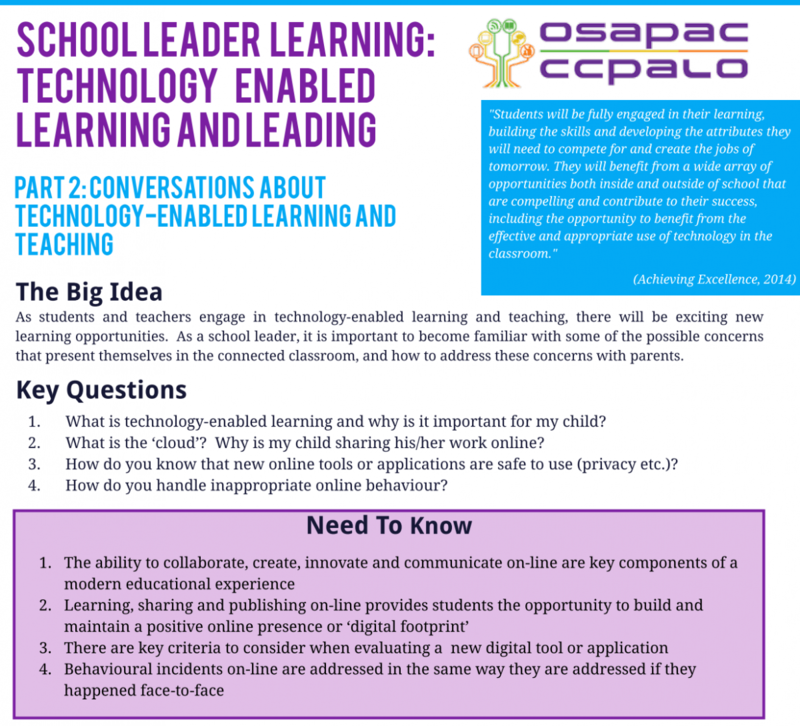 In conversation with their instructor, my friend and colleague and exemplary principal, Lisa Neale, we challenged the notion of “digital leadership” and its relevance in 2016. We often say we need to “model digital leadership”, but that is getting tired. The internet has been accessible to people for more than 20 years. The modelling days are over. Now it is about being connected; learning, living and leading so that digital and physical are seamless in our schools, as they are outside of our schools. It’s about connecting with students, parents, communities and the greater world, and making meaning, relevance and change for good. The slides we used to guide our discussion are below. Resources are listed below the slides. Are Robots Going to Steal Your Job? Probably. Technology Has a Language. It’s Called Code. What Leadership Practices Make a Difference for Students?